A few days ago it was my good friend Jay’s 50th Birthday, knowing him and his love of shrimp I wanted to do something special for his surprise party. 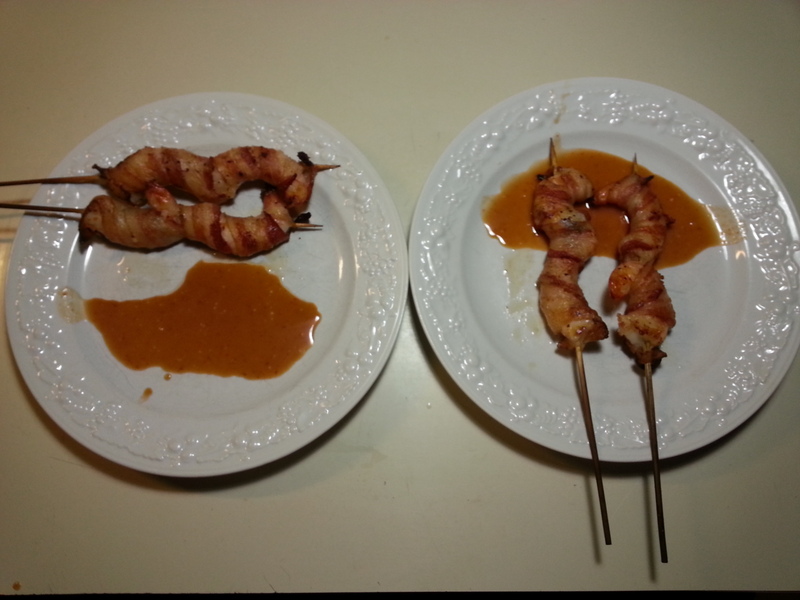 So I made bacon wrapped shrimp and he loved it. First take 10 inch wooden skewers and soak them in cold water for about an hour. 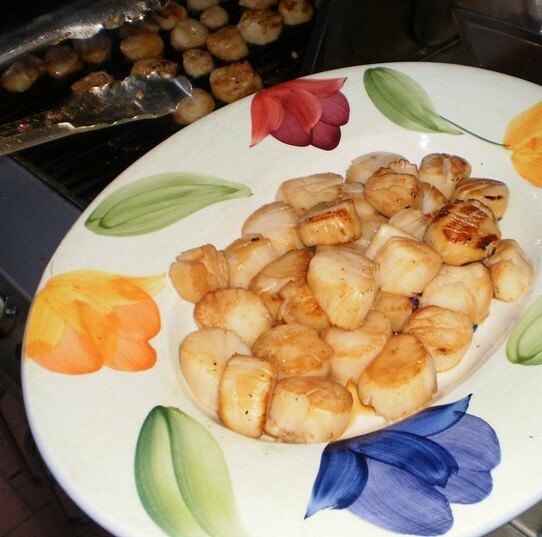 You will need 16 – 20 peeled and deveined shrimp from your favorite fish monger. The term 16-20 means that there are 16 to 20 shrimp per pound. The lower the number means the bigger the shrimp. So 5 pounds of those shrimp would yield close to 100 pieces. Take your favorite bacon out of the fridge and let it come to room temperature while you do the following step. Carefully remove the tails from all the shrimp and skewer 2 of them onto one stick leaving about ½ inch of the point exposed above the shrimp. Once they are all on the sticks lightly sprinkle some black pepper over the shrimp. 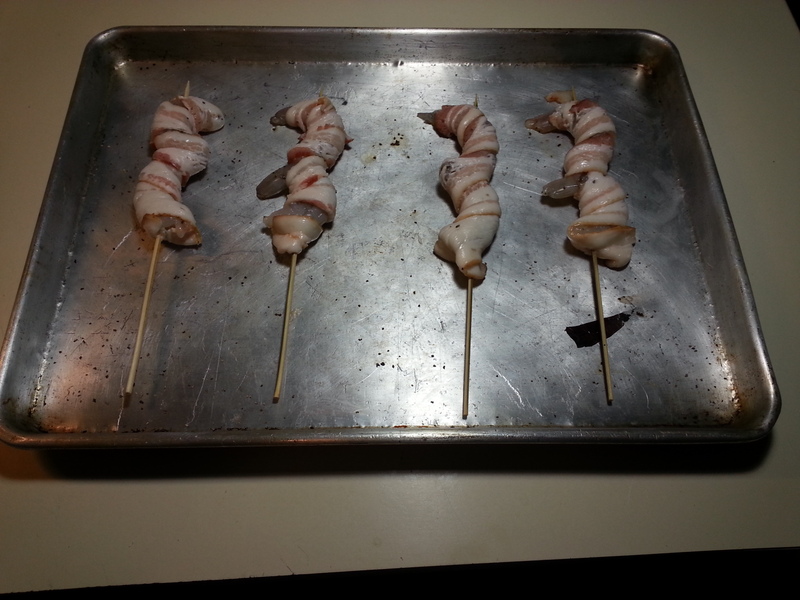 Take a piece of bacon, poke it with the sharp tip to make a tiny hole and then slip it on the handle side of the skewer and pull up to the bottom of the shrimp. 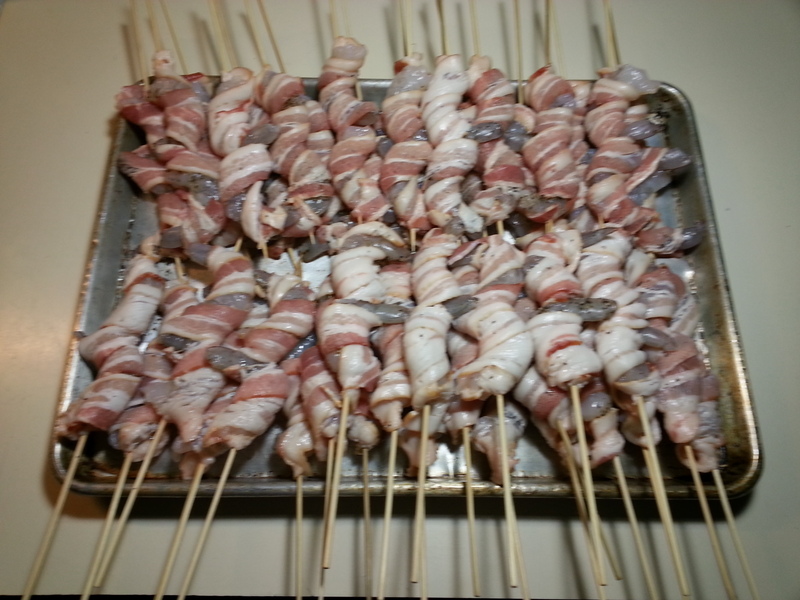 Then methodically wrap the bacon up the skewer around the shrimp making sure to cover as much of the shrimp as you go. Now the reason you left the tip of the skewer exposed is to take that last bit of bacon you are holding on to and stretch it over the tip to hold it in place. Turn on the oven to 500F and place a few on a sheet pan so they are all on a single layer and cook 7-9 minutes on the first side then flip over for about 4-5 more on the other side. 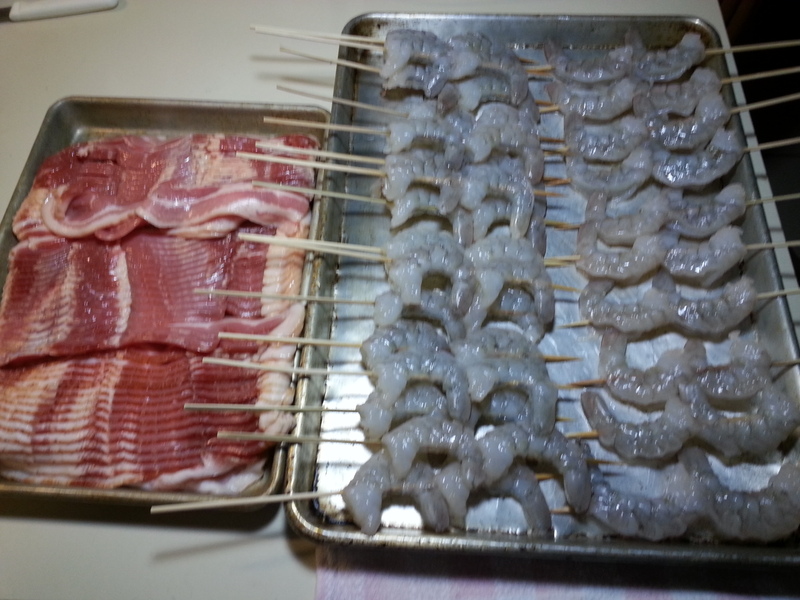 The bacon will be brown and a little crispy and the shrimp will be deliciously moist and juicy. Serve right away warning your guests that the skewers will be hot. To take it one step further, for the people who like spicy food, make a quick sauce consisting of equal parts Sriracha Sauce and Maple Syrup to dip the skewers into. The syrup compliments the bacon and pepper and the Sriracha adds spice to the sweet shrimp. My goodness they are good ~ Enjoy! 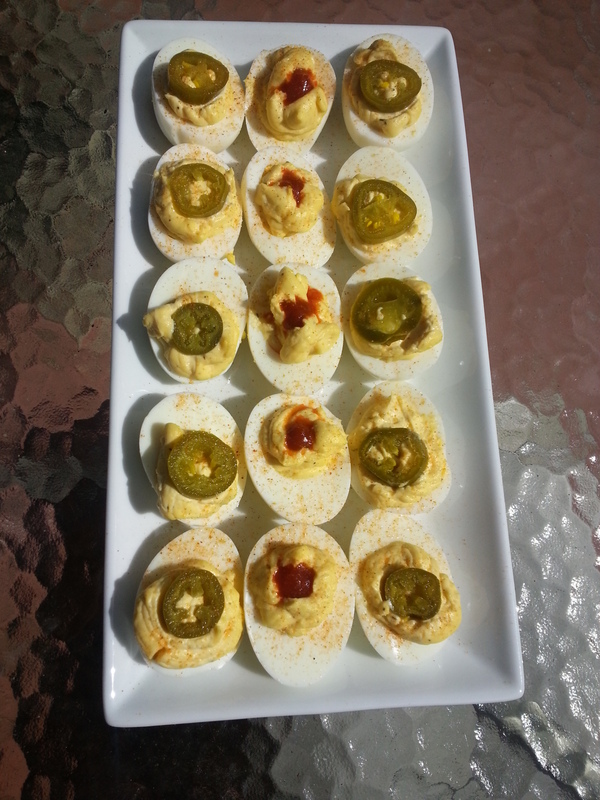 In honor of National Egg Day here is an old-time favorite – Deviled Eggs ! I have done them 2 ways both hot but they start with the same base recipe. 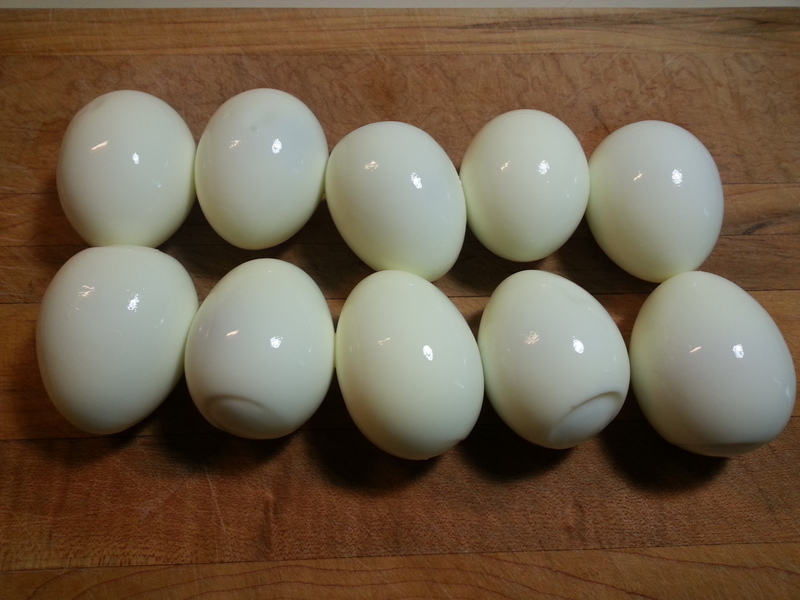 10 whole eggs steamed or boiled whatever way you are most comfortable cooking them, but make sure you don’t overcook them. 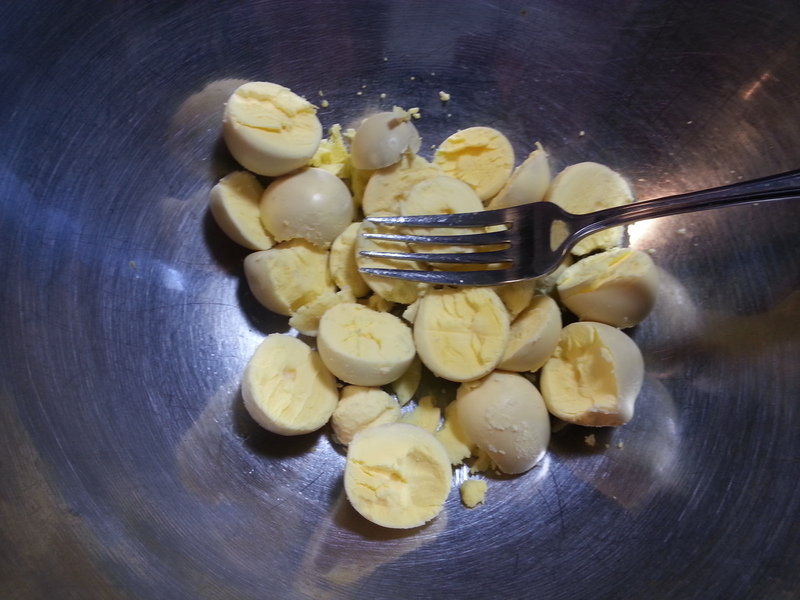 Cut the eggs in half and scoop out the yolks into another bowl. Mix into the smashed egg yolks the following: 1/3 cup of good mayonnaise, 1 tsp of lemon juice, 1 tsp yellow mustard, S&P to taste, and since it is supposed to be spicy, a little granulated garlic. Now it is up to you just how spicy you want to get some of them. 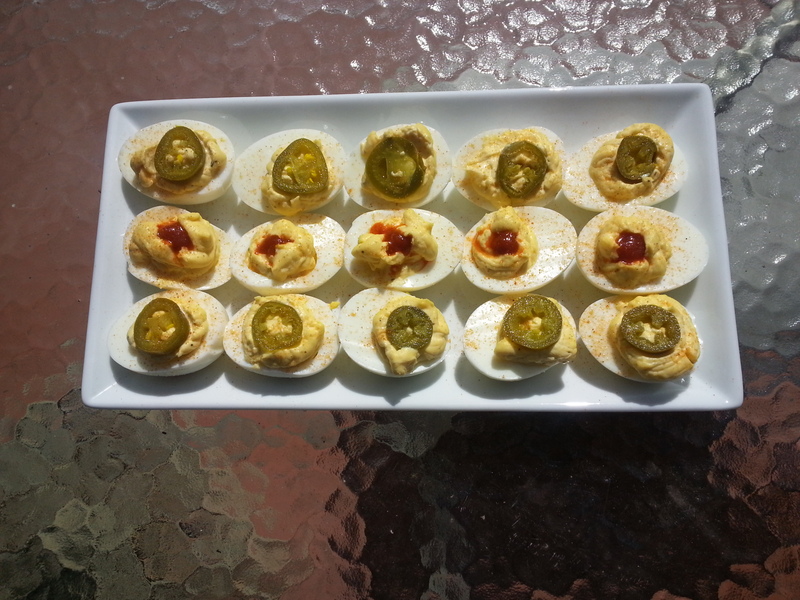 I topped with tamed jalapeño pepper slices for my wife and some I topped with a healthy squirt of Sriracha Sauce for me! Put them in the fridge for a couple of hours so they would be nice and cold. Sprinkle them with some Cajun seasoning as a new twist on the classic paprika garnish. And enjoy them by the pool with a few beers. Happy National Egg Day Everyone 10/11/13! 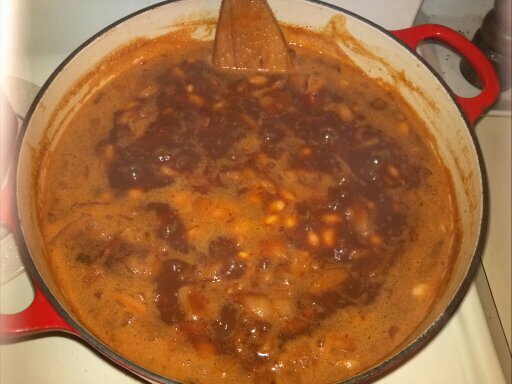 A couple of weeks ago a reader requested a baked beans recipe. Here is one that my family loves. Take the beans and cook them in a pot on simmer until tender for about 45 minutes. Drain the beans and set aside. 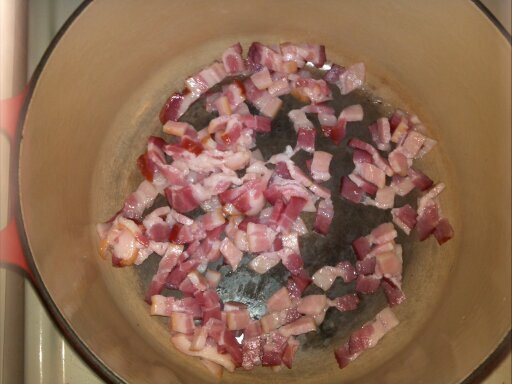 In a heavy bottomed pot cook the bacon until crispy. Add the diced onions and peppers and sauté until soft. Bring everything to a low boil for about an hour stirring frequently and then simmer for 2 hours. 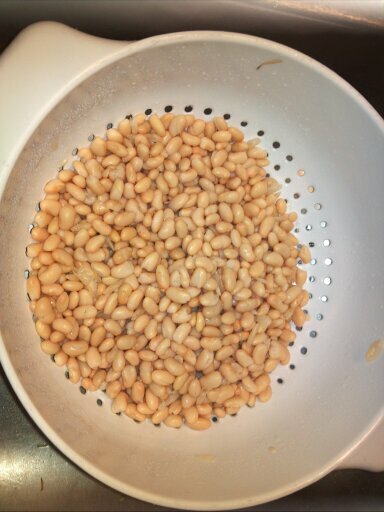 Now here is the cheat, transfer the beans to a crock pot on high and heat for another 4 hours and then they will be ready to enjoy!